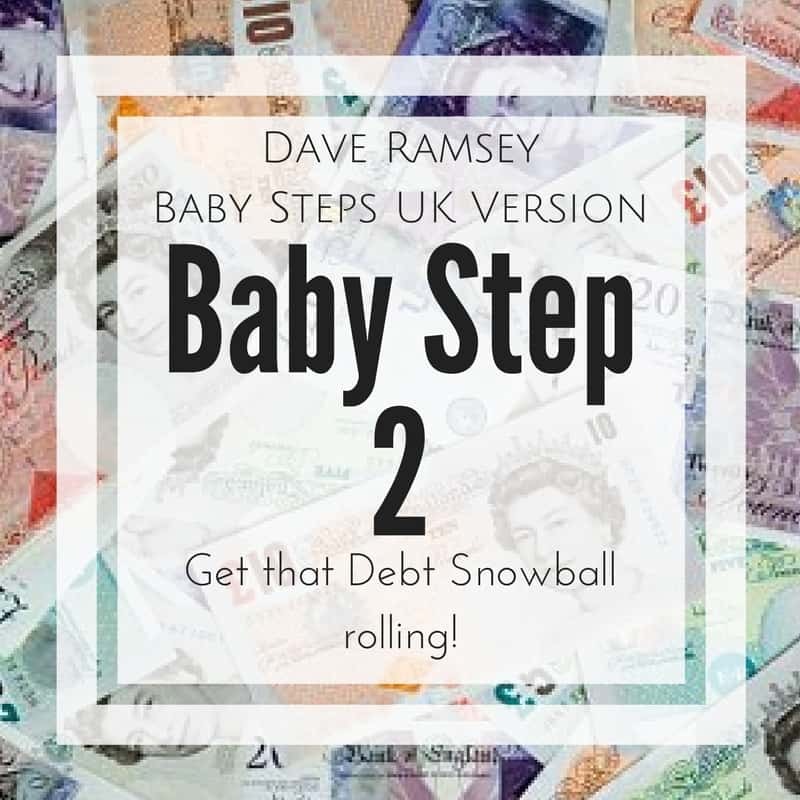 The Debt Snowball is arguably the most important of the Baby Steps as it not only clears your debt, it changes your attitude towards money. The Debt Snowball is a debt reduction strategy where you pay off your debts smallest to largest (regardless of the interest rate), this may seem a bit counter-intuitive to some people but it’s about changing your attitude to money more than it’s about the math. You didn’t care about the interest rate when you took on the debt so why care about it now, just get it paid off. Do you remember building snowballs as a kid? The fastest way to build a snowball was to pack some snow into a tight ball and then start rolling it through the garden. As it gained momentum, the snowball grew into something more like a snow boulder. It was a good technique for building snowballs as a kid, and it’s an even better method for paying off your debt. List your debts from smallest to largest. Commit to pay the minimum payment on every debt except the smallest one – you can set up a direct debit to pay the minimum amount each month. Once that debt is paid in full take what you were paying on it (it’s minimum plus any extra you found) and start throwing that at the next smallest! The debt snowball works because it is about behavior modification, not math. For example, if you start paying on a student loan first because it’s the largest debt, you won’t see it leave for a while. You’ll see numbers going down on a page, but pretty soon you’ll lose steam and stop paying extra. And you’ll still have all your debts hanging around. But when you clear the small debt first, you see progress. That one debt is out of your life forever. The second debt will follow soon, and then the next. When you see the plan working, you stick to it. And when you do that, you’ll succeed in becoming debt-free! By the time you’re paying on the bigger debts, you have so much more cash freed up from paying off the earlier ones that it creates a debt snowball. Suddenly, you’re putting hundreds of pounds a month toward your debts instead of a few pounds here and there. You build momentum, and that changes your behavior and helps you get out of debt for good. Undebt.it – This website is by far my favourite Debt Snowball Calculator (I’m a bit of a numbers nerd) as it also lets you add ‘snowflake’ payments if you come into an unexpected chunk of money that isn’t part of your normal monthly payments. It can look a little complicated at first as there are a few boxes to fill out to make sure it has all the info needed to work out your snowball but this link explains exactly How Undebt.it works and walks you through the process of setting up an account in a step by step manner. It’s all fully secure and doesn’t need access to any of your accounts, you input the data manually. What’s The Cost – This is just a general all-round handy website to know about, it’s a pretty basic site but it has various calculators for financial products. I know a lot of people on the Dave Ramsey UK Based Support Group like this one. Online Trading Academy – I’ve had a play around with this one in the past and it’s nice and easy to use it also creates some graphs to show your pay down rate which can be helpful if you are more visually motivated. I didn’t know about those websites, they seem really useful for people to get a better picture of their debt and how it’s going to get paid off. Thanks for the clear explanation of DR’s baby steps – really helpful to explain why this way works. It didn’t make sense to me before. Another great post explaining the baby steps – thank you! I get the snowball method and it’s psychology but I really think you should focus on paying off the debt with the highest interest rate first…this will save you money in the long run. This is more of a Martin Lewis approach. And my approach to paying off my 16k.